A few months ago, I started waking each morning with my jaw stuck on one side. It would loosen with time, and I didn’t concern myself with it until the morning it stayed stuck and hurt. I didn’t worry until the next day when it was still stuck and I could barely open my mouth to eat. I immediately asked Spirit if I should worry about this painful situation, and Spirit assured me that my body could naturally heal itself. I was instructed to stop sleeping on the side that hurt. That’s it! No other treatment—no vitamins to take, no creams to use, and no doctors or dentists to visit. The healing took five weeks! The first two weeks, I had to eat food cut into tiny pieces and no sandwiches. The third week, my jaw loosened a bit, and by the fourth week, I could tell it was almost healed. Several times I worried and questioned whether to go to a dentist, but each time Spirit assured me that my body would do the healing work. The body is truly a marvelous creation, caring for and healing itself. My upbringing to seek outside help at the moment pain is felt has its power over me to doubt my body’s own power to heal. People don’t pay much attention to others. That whole time my jaw was stuck, I didn’t mention it to anyone and no one noticed that I was eating differently and using my mouth differently. We worry what people think of us way too much! Patience is the key to natural healing. I am fortunate to have this direct connection with Spirit to guide me (my sister calls it cheating 🙂 ) and I know that others feel less confident to rely on natural healing. My previous post “Standing up for the body” reminds us of the importance of caring for our bodies so that we can hear the messages and know what to do. Had I been paying attention that my jaw hurt on that one side each morning, I could have worked out that my sleeping position was causing the problem. I can write more about natural healing if my readers let me know they are interested. Note: My connection is to Spirit who guides me to help myself and others. Dreams enchant or frighten. They can bring answers to problems or worry to troubles. Dreams perplex us in their depth and in their fancifulness. Dreams connect seemingly unconnected aspects of our lives and deconstruct current events and concerns. Dreams enrich and they inspire. Each sleep experience is an opportunity for enjoyment of dreams or disturbance by them. Dreams that are complex and multi-chaptered (that is, dreams that have a similar theme and characters which have various escapades and secondary characters, creating incongruous happenings) are dreams that reoccur throughout the sleep period. Each dream is a view of an event or thought from a different mind position. With sameness in the content, the mind releases varying thought currents that move the content, but don’t completely change it. This current movement enables a main dream theme to remain as the current carries it in different ways each time the dream theme reoccurs. A complex and multi-chaptered dream will seem to be a long continuous dream, when in actuality, it is a dream that repeats with changes each time it occurs. The remembered dream will feel like one dream. Things that affect dreams are: sweet foods eaten within half an hour of sleep, emotions that cause fear, and creative thinking done within an hour of sleep. A person who has frightening dreams should examine nighttime rituals that cause fearful thoughts and emotions. Universal dreams are dreams that are not individual specific; they are dreams that are meant for others to hear. Most people dream dreams that have messages or input just for themselves. Certain individuals have the gift of universal dreams. 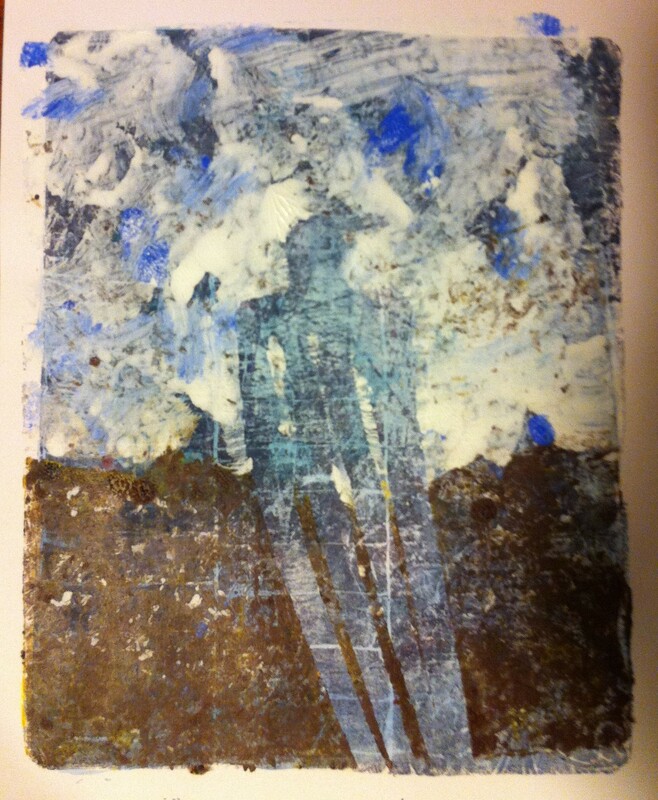 Here is a blog post about universal dreams: What a dream can tell. Movement during sleep can signify dreams that impact emotions. Gentle movements often accompany dreams that affect disappointments or fond memories. Energetic movements often accompany dreams that release exuberant feelings of joy, creativity, or longing. Age affects dreaming. Younger people dream more when they are thirsty. Older people dream more when they are hungry. Emotional state at the start of the day can influence dreams that night. Rhythmic breathing before sleep can upgrade dreams. Fearsome dreams will be less fearsome. The dreaming cycles will last increasing longer through the night. The rhythmic breathing can lessen the effects of sweet foods on dreams. It can also decrease the intensity of upsetting dreams. Dreams are release centers for our minds. They systematically process and review our thoughts, feelings and experiences. Their impact on our minds is more significant than realized. Dreams have guided operations that are controlled by the brain. Their structure is logical and their outcome is not. Dreams may seem illogical or mysterious, when in actuality, they are patterned and sensible. Dreams connect us to inner aspects of our brain that are intangible and awesome. Dreams steady our thinking and our interpretations. They secrete ideas, hidden feelings, forgotten memories, and connections. Dreams maintain balance and humility. 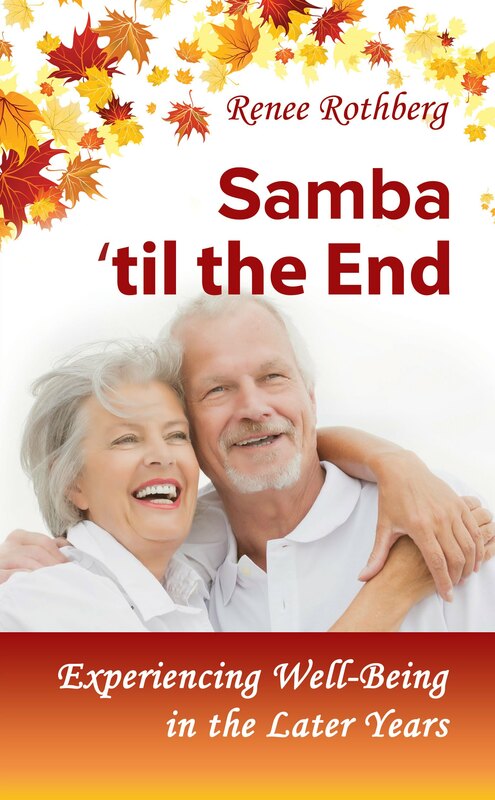 In “Samba ’til the End— Experiencing Well-Being in the Later Years”, one of the maintenance tips for aging well is to listen to your body and find healing through natural means. Our bodies are designed to monitor and fix themselves, but the monitoring and fixing take time. When we choose activities, foods, or lifestyles that overwhelm natural healing, the monitoring and fixing slow or stop. Listening to our bodies when they are overwhelmed is crucial to healing. Without the natural monitoring and fixing, diseases and illnesses can overtake and overwhelm our bodies. Here are activities, foods, and lifestyles that slow or stop the body’s ability to monitor and fix itself. Undereating; a sedentary lifestyle; overusing medications, alcohol, or tobacco; worrying; accepting other people’s evaluations of your health when you feel they are incorrect; hydrogenated-manipulated food stuff; eating and drinking artificially sweetened or sugared drinks and food; disdain and contempt for others; toxic and addictive substances; constricting posture; inactivation or removal of organs and other body parts; stress; exposure to toxic substances; and rejection of bodily signals to sleep, eliminate, extend (the muscles), or eat. Here are activities, foods, and lifestyles that enhance the body’s ability to monitor and fix itself. Deep breathing; a giving lifestyle; smiling; preventative health care; attention to posture; a diet rich in vegetables, whole grains, and enjoyment (mealtimes that are pleasant and not rushed); spending time with nature: in parks, at a beach, on a hike, and connecting with the seasons; active movement: walking, dancing, swimming, etc. ; paying attention to the body’s signals of unwellness and helping it heal through rest and protection; eating and drinking in moderation; love; and acknowledgement of bodily signals to sleep, eliminate, extend (the muscles), or eat. Healing won’t take place when attitude and disease overtake the healing mechanisms. A positive attitude can counter disease, but the positive attitude must be sincere to have impact. Aging affects the body’s speed of healing. In general, healing slows. 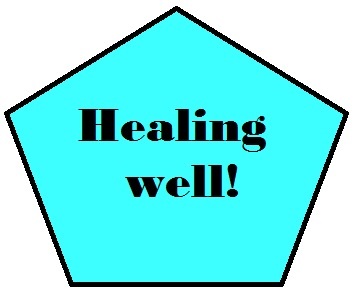 When healing has slowed, the impact of positive and negative influences is more pronounced. Negative influences can speed death and render the aging unbearable. Positive influences can increase life expectancy and render the aging enjoyable. Healing remains active when the body is treated well. Holistic caregivers abound. So many to choose from, so how do you choose? There are homeopaths, reflexologists, chiropractors, acupuncturists, nutritionists, and art therapists. There is Chinese medicine and Ayurvedic medicine and faith healing and energy healing. Music therapy can help as can aromatherapy. What about shiatsu and Energy Guidance and myofascial release? And so many more! There is no single healing solution that works for everyone. Often a combination of healing methods works best. No matter the healing method(s) you choose, you want to find holistic caregivers that help you heal and be healthy. The caregiver looks you in the eye. The healing method seems natural to the caregiver. The caregiver has a firm grasp of the healing method. The caregiver is adept at creating a healing experience. The person’s approach is negative. The person tells you that you will not know the results of your treatment for a long period of time. The person tells you that only he or she can heal you. You feel a lack of confidence in the caregiver. You feel that the caregiver is not listening to you. You feel that the caregiver is not sincere. I have worked with many people and know that my healing methods are not appropriate for everyone. If a person comes to me whom I can tell will not benefit from Energy Guidance Complete, I am honest and let him or her know. Sometimes it takes more than one session for me to know. I have referred people to other healing methods to do in conjunction with Energy Guidance Complete or in place of. Each person has different needs and can benefit from different approaches. When you find a healing caregiver who helps you understand your body and yourself better, nurture this connection. A healing caregiver is wonderful to have on your team! Knee pain. I’ve had knee pain off and on through the years. I ruled out physical causes several years ago when physical therapies didn’t relieve the pain. At one point, I examined a conflict with a loved one and when we worked it out, the pain went away. Lately, the pain came back. Actually it comes and goes. Once again, physical therapies don’t relieve the pain. I finally turned to Spirit to determine the cause. (Why did I wait so long?) And I learned that once again, emotional turmoil has come into play. The emotion–disappointment–has entangled itself around my kneecap. A person close to me disappointed me, and the disappointment hurts me physically and emotionally. Turns out that the pain in my knee reflects several disappointments from my adult life. To relieve the pain, I must care for the disappointment with kindness. To do that, I will not try to relive the disappointments that happened; rather, I will create a way for the disappointments to dissolve. (I’m not explaining the Energy Guidance Complete way this will happen, because it differs from person to person.) When the disappointment has dissolved, the pain will end. My experience reflects the experiences of many people. Emotional turmoil sometimes lodges in the body and manifests as physical pain. This type of pain is hard to treat, because emotional wounds defy physical treatments. Back pain, knee pain, stomachaches, skin eruptions, and abdominal ailments are types of physical problems that often have emotional causes. When these problems occur, the best healing approaches are holistic therapies. When physical and emotional healing of physical problems occur, the healing is more often successful. The body heals when causes are understood and acknowledged. As with me and my knee, emotions are responsible for the body’s responses. Pain and joy affect the way we feel, and the way we feel creates the pain or joy. The more we focus on emotions that are positive, the better we feel. The more we allow negative emotions to fester, the more chance of physical pain. Even when difficult things happen in life, positive rather than negative helps prevent lasting harm. The power of emotional healing is incredible. The first step is to understand its existence! Healing is tricky. It is not available to those who use illness to attain a goal. Many use illness to keep from participating in life. Look at the people you know who are ill and consider the last sentence. It does not apply to all, but to many. When we are ill, we should take the necessary precautions and mending steps. Mending steps include sleep, hydration, nutrient intake, and positive focus. Staying away from others when contagious. Staying away from temptations. Staying away from activity. Staying away from over-excitement, over-exertion and over-indulgence (not meaning overindulgence of food, rather overindulgence of self-pity or self-over-focus [I’m-too-unwell-to-deal-with-life-and-think-of-others]). Healing can be quick or languishing depending on our age, attitude, previous physical condition, and determination, and of course, on the healing issue. Feeling determined to be well is very important. Any trace of benefit from the illness or condition can slow the healing process. Even a well meant show of sympathy can slow the healing. Best to heal with as little sympathy as possible. Attitude influences on all levels-physical, emotional, intellectual, and spiritual. A happy attitude greatly enhances healing. Healing and wellness are possible when we truly want them! My ear hurt. It was sore to touch and it felt tender when I touched behind it on my neck. It started hurting after a plane ride, so I thought it was a result of the altitude change or air pressure on the plane. When the pain continued longer than two weeks, I guessed that the cause was something else. That’s when I turned to Spiritual Presence and asked if I should leave it alone or intervene in its healing. The answer I received was to leave it alone and let my body heal it. I abided by that answer although I re-asked the question numerous times over the next few weeks. Eventually I got used to the discomfort and felt confident that my body would heal. Two months later, my ear is fine. The body can usually care for the small aches and pains and invasions by germs. The body is designed to do so, but it requires proper nutrition, restful sleep, and emotional care. When we intervene too early, we weaken the body’s natural ability to heal. When the body is mistrusted to heal itself, it loses its ability to communicate. Sudden pains become frightening and we rush to relieve them without simply breathing deeply and letting the body do its work. I was raised to seek outside help the moment my body became ill. Learning to value its healing abilities has made me healthier and stronger.